Jessie’s Fund supports children with disabilities through the therapeutic use of music. This can be music therapy or interactive music projects – activities in which the children themselves are participating and finding expression through music. Our priority is to help children with more complex needs or life-limiting conditions. 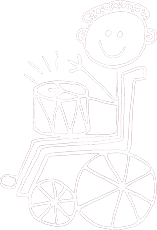 You can find out how we can help in children’s hospices and special schools here. We also help other organisations if their projects meet our criteria, but please note that we will not be able to consider or acknowledge applications which are not connected to musical activity, nor applications from outside the UK. The majority of our larger grants to organisations tend to be between £2,000 and £4,000. Applications from organisations are considered three times a year. Our next application deadline will be 17 June, 2019. Applicants will be informed of the outcome about four weeks after the deadline. Scroll down for further information about eligibility and how to apply. 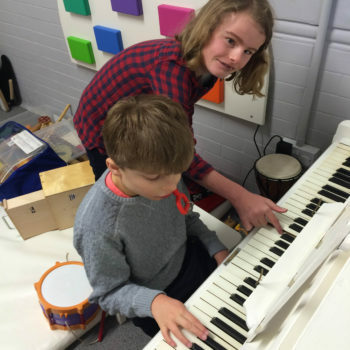 In addition to support for organisations, we make grants for therapy with fully qualified music therapists to individual children who have significant special educational or medical needs. As we receive more applications than we can fund, priority is given to children with more complex needs. Grants to individuals are usually not more than £500. These applications are considered at the end of each month and applicants will hear from us the following month. Scroll down to the orange section for further information about eligibility for grants to individuals, and how to apply. All applications must be for music related activities. Applications from organisations for musical instruments to use in music therapy or other interactive musical activities are considered. Applications should be for children/young people with substantial disabilities or long-term illness up to the age of 19 (in some circumstances up to 25). First applications receive priority, though in some circumstances we may be able to offer a further grant. Unsuccessful applicants can reapply no sooner than 12 months after they hear the outcome of their initial application. We do not normally consider applications from organisations which have received a grant from us within the previous two years. We do not consider retrospective applications. We are unlikely to help very large organisations. Applications should be emailed to us on the appropriate application form downloadable at the bottom of this page. Applications are considered three times per year: the current deadline is published above, on this page. Applications should be clear about the amount of funding applied for and about any other potential sources of funding for your project. We rarely award grants of more than £4,000. The application should detail any previous successful or unsuccessful applications to Jessie’s Fund. We prefer organisations to demonstrate that there is commitment to continue projects beyond any potential funding from Jessie’s Fund. We ask organisations to provide their most recent annual report and accounts unless they are statutory organisations. Organisations which have received a grant from Jessie’s Fund must submit a report to us at the end of the period of funding. The report form can be downloaded here. Please send your completed form to us by email, as an attached file. Jessie’s Fund awards grants for therapy with fully qualified music therapists to children who have considerable additional needs or complex medical needs. We support work with children and young people up to the age of 19 who have substantial disabilities or long-term illness. We prioritise those who have significant communication problems. We accept applications from parents/carers or professionals working with the child or young person. The child or young person must have an EHCP (Educational, Health and Care Plan), or verification from their GP or other health professional of a medical condition. We do not offer grants for purchasing musical instruments for individuals. Applications should be emailed to us on the ‘Music therapy for an individual child’ application form downloadable at the bottom of this page, all sections of which should be completed, including the amount being applied for. Grants offered are very rarely more than £500. Applications must include a copy of the child/young person’s EHCP if they have one, or verification from their GP/other health professional of a medical condition. The application should detail any previous music therapy which the child/young person has engaged with, and the outcomes of the sessions. Applications should be accompanied by a supporting letter from a healthcare/educational professional. The letter should state clearly how the child/young person will benefit from the intended use of the funds. The application should detail any previous successful or unsuccessful applications to Jessie’s Fund and any applications to other organisations. We ask applicants to indicate what level of contribution they can make to the cost of music therapy (£3, £5, £8, £10, or £15 per session). Grants are awarded on condition of a report being sent to us at the end of the funded period. Applications are considered at the end of each month and applicants will hear from us the following month. These downloadable application forms should be saved to your hard disc, filled in electronically, saved again, and then sent to us by email as an attached file, along with any supporting information. You will need Adobe Reader (or another pdf reader) to read these files. You can download Adobe Reader free here. If you have a query, email us or call us on 01904 658189.